I met Liane Schalatek, Associate Director for the Heinrich Böll Foundation North America,early in the life of Climate Wise Women. On a chilly afternoon in a D.C. coffee shop, I asked Liane about the opportunities for small grants for grassroots women’s groups in the Global South. Her response did not leave me encouraged. Liane, however, is not discouraged. She is an active civil society observer to the Green Climate Fund (GCF), the first multi-billion-dollar international fund to mandate a consideration of gender from the outset of its operations. The GCF is a key financial mechanism to support the efforts of developing countries in response to the challenge of climate change under the Paris Agreement. In this role, Liane has been a tireless advocate for marginalized groups, women, indigenous people and youth, pushing for new channels to deliver GFC funding assistance to the grassroots. When I ask her for an update on our long-ago conversation, Liane tells me, “We have made some incremental progress with some policies, but the larger picture has changed too little. The same actors who have failed to ensure that funding reaches local groups are the key implementers in GCF – the big multi-lateral development banks and UN agencies.” Direct access entities, domestic organizations, including non-governmental groups, are still way behind in getting their own project proposals considered and approved. 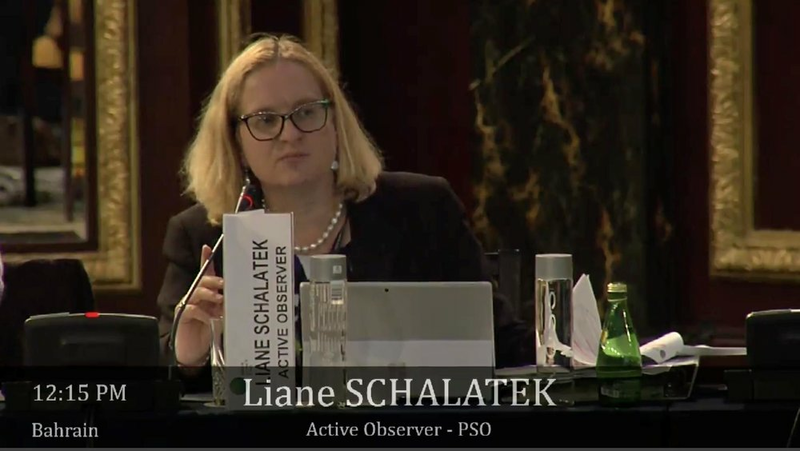 “What makes things difficult,” Liane explains, “is that the accreditation process is very rigorous – there are lots of requirements in terms of policy documents, institutional fiduciary guidelines, auditing procedures, etc. The existence of written policies is taken as proof of due diligence and is weighted more than a track record in delivering results. This approach disadvantages small national and local entities.” One avenue for grassroots groups to access funding is to align with already accredited groups rather than spend the time and energy working towards unlikely direct accreditation with the GCF. Liane says that skepticism still exists in many developed countries around community-based and grassroots solutions as successful strategies for GCF investment. She says that many GCF board members tend to assume that larger projects and programs are better by equating greater financial leverage with more effective climate financing. Networks of civil society groups, including an increasing number of women’s groups from developing countries, now provide some critical input on project proposals up for approval before Board meetings. More grassroots participation is essential to persuade the Board to consider alternative funding priorities and implementation strategies that can bring about real transformational shifts towards low-carbon and climate resilient development in the developing world. Liane’s dedicated work with civil society colleagues has insured that that the GCF has a gender policy mandating a project-level gender analysis and action plan for every proposal under consideration by the GCF. All entities that are seeking accreditation must also show that they, too, have gender and climate change policies, which has a been a challenge for many private sector entities wanting to work with the GCF. On the financing side, Liane and civil society colleagues have lobbied the Board for consideration of full cost financing for projects, which is much more sustainable for community-based projects, over solely relying on incremental costing. On October 23, the GCF approved $1.04 billion in new grants and loans for 19 projects and programs. Only a minority of the recipients, representing a tiny percentage of the overall amount, included funding approaches for the direct benefit of grassroots groups and local communities. As I was doing some on-line reading on International Women’s Day this year, I found a number that shocked me. A study by Global Green Grants and the Prospera International Network of Women’s Funds found that only 0.2% of all global foundation funding was directed towards women and environment. Over the years, the Climate Wise Women have shown me how many climate-smart, resource-efficient initiatives are pioneered by women in the communities most affected by climate change. I couldn’t believe the stats I was seeing. A few months later as I listened in to a planning call with fellow USCAN (US Climate Action Network) members for the upcoming Global Climate Action Summit in San Francisco, my hopes for the gathering drooped as I learned that the focus would be on big challenges for governments, business and industry. Where was the entry point for the grassroots community, the people who live with the most severe impacts of climate change? I thought about the challenge that I would make, the challenge to the philanthropy community to raise their ambition for supporting the global grassroots women who are the first-responders in preserving their communities in the face of climate change. It felt like a quixotic exercise until I discovered that a few smart and dedicated funders were already leading a persuasive education campaign to explain how and why their peers should join them in a bottom up approach to climate resilience. The CLIMA Fund has already raised almost $500k and made grants to 19 global grassroots organizations working on advocacy, movement building and fossil fuel-free community development. Inspired by this ambitious coalition, Climate Wise Women co-founder Constance Okollet and I will head off to San Francisco next week for the Global Climate Action Summit where we hope to continue the conversation on grassroots women and funding and all the work that still needs to be done. It’s taken much longer that I ever expected to launch the new Climate Wise Women site. Like most of the work we do, we’ve had to reevaluate our initial ideas, iterate our concepts and spend a lot of time patiently working through the process to ensure that we are making the most meaningful impact. We’ve come a long way from that breakfast event in New York in September 2009 during the opening of the UN General Assembly that was one of the first public celebrations of women’s leadership on climate change. One breakfast featuring the stories of grassroots women’s experiences of survival in a dangerously changing climate, in their own words, became the catalyst for all the travel, speaking engagements, networking, learning and advocacy opportunities that were to follow. Over the years, we’ve gained insights on how to move from international advocacy to on-the-ground solutions for communities feeling immediate and urgent climate impacts. It still isn’t easy. But with a strategy of fundraising assistance, community-responsive training opportunities and, most of all, visible support for grassroots women’s leadership, we feel emboldened as we look ahead. Our next stop will be the Global Climate Action Summit in San Francisco, September 12 through 14, where Climate Wise Women will call on policymakers, business leaders and philanthropists to do better on the current .02% investment in women-led adaptation and mitigation projects. We’ll also meet with our partners on the Women’s Climate Centers, a knowledge-sharing and skills-training program proposed by women’s groups in Uganda and Kenya, that we hope to pilot later this year. Our deepest thanks to all of our friends and supporters – we wouldn’t have made it this far without you. A new website and an experience-informed strategy to advance grassroots women’s leadership set the course for the next steps of our journey together.